Emmanuel Adebayor has criticized French team Lyon before saying that they did not sign him because of his intention to participate in the Africa Cup of Nations. The former Arsenal striker said that this statement is ridiculous as the team already knew that he was going to represent his country in the tournament. He said that Lyon should know that he is the captain of the Togo team and that he will be naturally be playing at the African Cup of Nations. He believes that the club did not have any intention of signing the player and that they are just using this as an excuse. 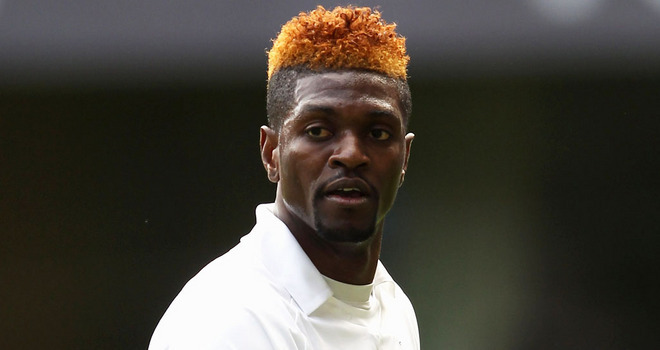 Emmanuel Adebayor said that he was frustrated with the questions asked by the coach. He said that instead of focusing on how he could help the team the coach was asking him questions about his personal life. However, he said that he was disappointed with the way the discussions went and stated that he really liked Lyon. He wanted to have another chance in the French league and said that he is sad that the deal did not happen. However, he believes that it is not right for the French team to come up with this ridiculous excuse for not signing him. Emmanuel Adebayor said that he still feel strong and that he still have some good years remaining at the top level. He said that at the moment he wants to focus on his football with his national side. The player is currently free and said that he is in discussion with different clubs about a possible move. He stated that he wants to enjoy his free time with his family and that he will make a decision about his career in the weeks to come after the African Cup of Nations. Tags: Adebayor, Despedida, Emanuel, Emmanuel.